Here is some basic, simple nutrition advice to help you get healthier instantly. For once, make achieving your “get healthy” resolution easy. No gimmicks, no big outlay of money or time. Just some simple everyday changes to have a happy and healthy new year! Not all fat is bad. Opt for unsaturated (e.g., olive or canola oil) over saturated fats, such as butter. 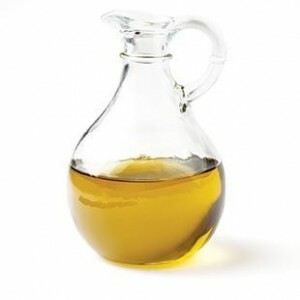 Here’s a nutrition breakdown: 1 tablespoon of olive oil has 14 grams fat, 2 of which are saturated; 1 tablespoon of canola oil has 14 grams fat, 1 gram saturated; 1 tablespoon butter has 11 grams fat, 7 of which are saturated. But because all fats are loaded with calories (119, 124 and 100 calories respectively), still use them in moderation. Refined carbohydrates, such as white bread and sugary sweets, may be just as bad for your heart and arteries as cream and butter—that’s one reason to limit them. But there are also reasons to pick whole grains over refined grains: people who eat plenty of whole grains tend to be leaner and have a lower risk of heart disease than those who don’t. What’s more, whole grains—like brown rice and bulgur—have their bran intact and thus have more fibre, B vitamins, magnesium, zinc and other nutrients.